An Elizabethan estate near Richmond with a dark past is on the market for £4million. 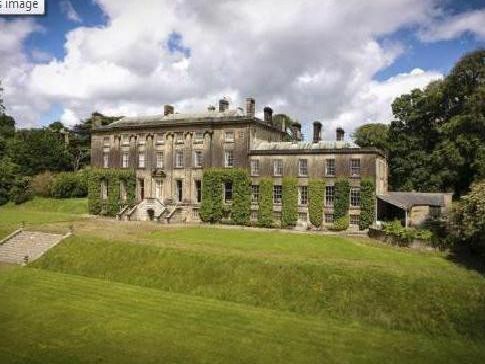 Forcett Hall has 15 bedrooms and its grounds contain a carriage house, stables, lake, ice house, grotto, 119 acres of formal gardens and even some Iron Age earthworks. The stunning Grade I-listed property has been for sale since 2017. The estate has a farm and several separate properties suitable for staff, including a gardener's cottage and two lodges. The mansion needs restoration and modernisation. There are formal terraced gardens, a ha-ha, open parkland and a kitchen garden with glasshouse. Forcett was the family seat of the Shuttleworths until 1785, and since 1938 has been owned by the Heathcote family. It was originally put on the market in 2011 with an asking price of £5.5million, which was subsequently lowered. The house featured in the TV series Obsessive Compulsive Cleaners in 2016, when James and Alison Heathcote were hoping to clear 50 years' worth of junk from the mansion before opening it as a B&B. One of the cleaners refused to stay overnight in the house, which at the time had ivy growing through the windows and barnacles in a bathroom. Forcett Hall was the setting of a real-life Victorian murder mystery in 1843, when the body of a child whose throat had been cut was discovered hidden in a roof cavity. A servant called Jane Taylor, the child's mother, was charged with murder but was found not guilty by a jury. Agent: Savills, Darlington.